In the past few years, African governments have begun doing more to protect their wildlife and prioritize smart development. Just a few months ago, for example, 42 African nations participated in the Africa Sustainable Transport Forum, a first step in creating a roadmap for sustainable transportation development across the continent. As governments become more active in building a sustainable future for Africa, what becomes the role of a private conservation organization? The responsibility for ensuring sustainable development lies with Africans and their governments—but wildlife must have a seat at the table. That’s where African Wildlife Foundation (AWF) comes in. The decisions about Africa’s future are being made by the Ministers of Finance, of Planning and of Economic Development. These are the government officials and politicians whose day-today responsibilities typically do not revolve around wildlife and wild lands. 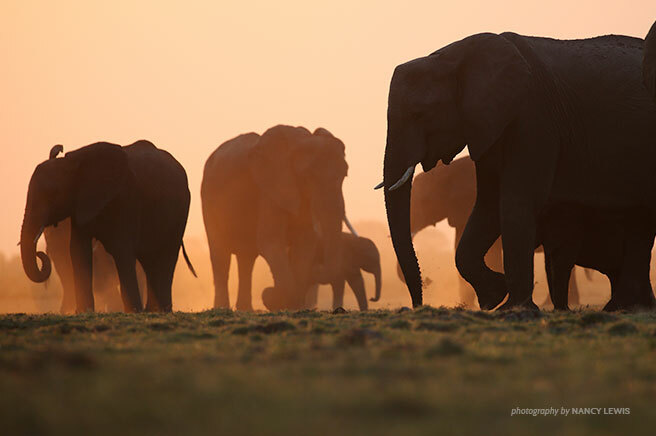 AWF has the conservation expertise to articulate how a modern Africa might evolve in a way that is friendly to wildlife. We have the relationships—with business leaders as well as with the rural communities that are seeing the most rapid development—to hold realistic discussions on the management of Africa’s living and other natural resources. And, thanks to your support, we are putting our expertise to work where it matters most: on the ground, protecting critical wildlife populations and keeping wild lands intact. Now more than ever, AWF is a critical cog in the wheels of Africa’s development. At events such as the World Economic Forum and through connections from the African Leadership Network, we are engaging with the continent’s leaders on why wildlife and wild lands are critical to a successful modern Africa. And, we are already providing our input on the African Union’s Agenda 2063, which maps out Africa’s development over the next 50 years, to ensure that wildlife and wild lands are part of the picture. With your assistance, we can help Africans realize a prosperous future for themselves—not at the expense of their wildlife and wild lands but because of them.